National Motor Museum Mint Model Ts Die-Cast replicas. Made By Tins'Toys. #20FDPU 1920 Ford Model T Pick Up Dark Blue. Ford Service. 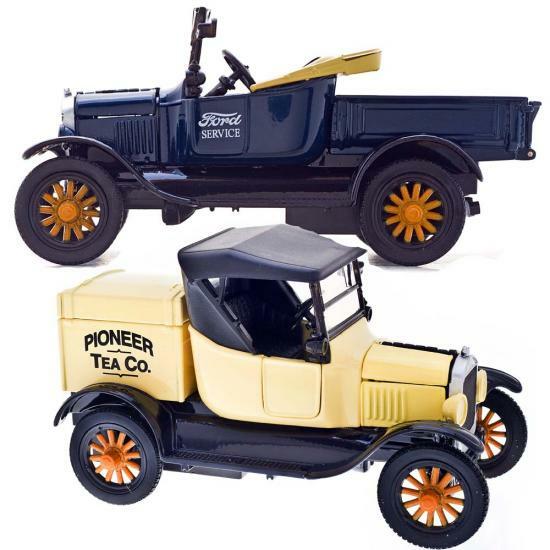 #20FDCG Ford Model T Cargo Truck Cream. Pioneer Tea Co.